Hydraulic SpaceSaver Lift & Tilt Tables. 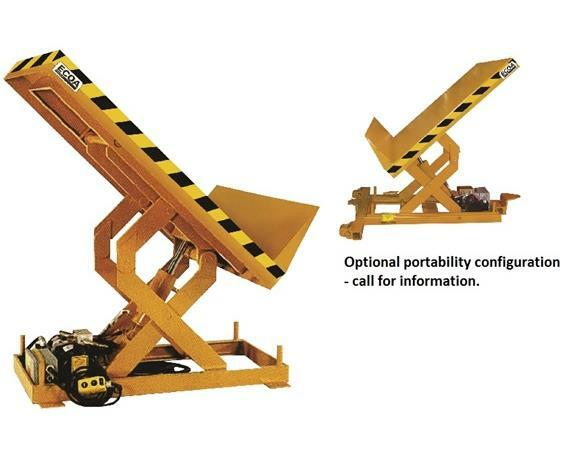 Heavy-Duty Lift & Tilt tables with capacities of 2,000 to 4,000 lbs., and tilt angles up to 45° with platform sizes of 24 x 48" to 48 x 48". The HCLTLT lifts and tilts within its own base frame, requiring minimal floor space to operate. FOB Shipping Point. 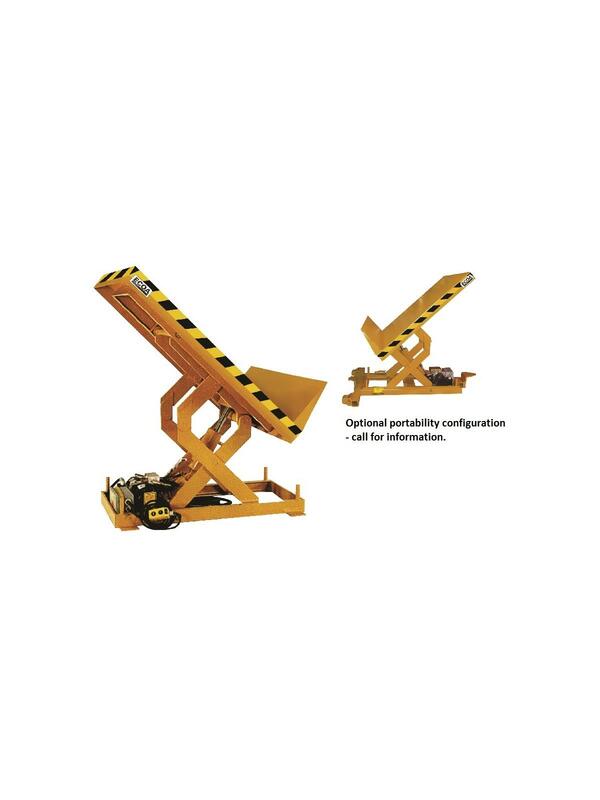 Base and platform leg rollers are captured within the channel frame for maximum stability. 1HP 115/1/60, optional power units available. Push button pendant controls - foot controls optional. 12" high lip on pivot end. Lifetime lubricated bearings on all rollers and pivot points.